We’ve launched a brand new website this month: Scoffopedia.com – the language of food and drink, explained! It’s a cross between a glossary and an encyclopedia of food and drink. It has cartoons, photos and illustrations in it and some contents which might make you think, “Well, I never…”. Each of the words below has a meaning in general language but also a particular use as a culinary term. We want you to tell us: What is [a/an] ……… and what is its culinary meaning? See how many you can answer! And here’s an extra question for a bonus point. 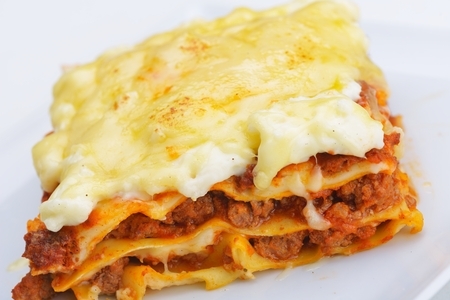 ‘Lasagne’ is a culinary term which you’ll know, but what was the word’s original meaning? By the way, if you want to visit Scoffopedia later for any other reason, you can just type in Scoffo.com and that will redirect you. This could come in useful, especially for mobile devices, if you’re flummoxed by a restaurant menu and don’t want to ask the waiter. This entry was posted	on Sunday 30 April 2017 at 14:01	and is filed under Trivia. You can follow any responses to this entry through the RSS 2.0 feed. You can leave a response, or trackback from your own site.